Need an easy but fabulous bread for Thanksgiving? 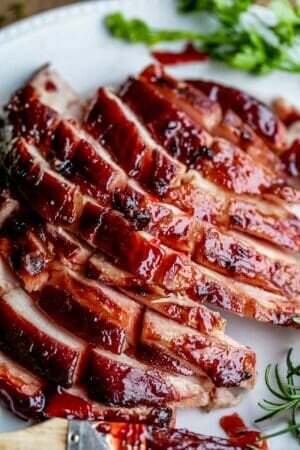 Or heck, how about dinner tonight! 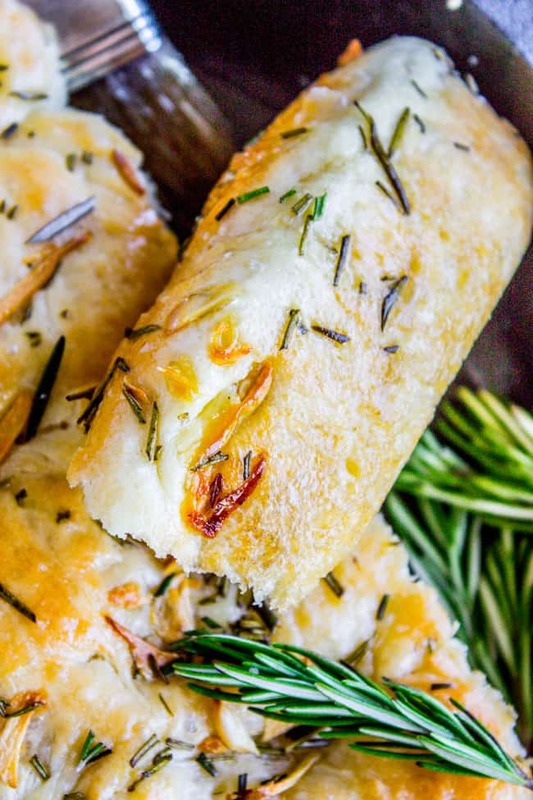 This bread has tons of flavor from the fresh garlic and rosemary. Olive oil in a cast iron skillet gives it this unreal crust. You will love it! Have you ever done a handstand? How bout a handstand when you’re 37 weeks pregnant? No? Well that’s because YOU’RE NOT INSANE. The doctor said my baby is oblique. That means she’s not completely head down, she’s diagonal. I told my sister about it. She said that she had a baby that was breech, so she did a handstand in the pool, and baby flipped around. So just do a handstand Karen. Easy. No problem. So what if I don’t have access to a pool? Eric can help me, right? We got this. Oh, past-Karen. You silly thing. Note to future Karen: don’t do a handstand, EVER, under any circumstances. I should have known that it would be a failure judging by the fact that I can’t even stand up without losing my balance these days. I have another appointment with the doctor tomorrow, and last week she said if the baby hasn’t turned they will try to turn her manually, which can send you into labor. Wish me luck?? Can you see the crispity crunchy bottom? Have you ever had pan pizza from Pizza Hut? (If you haven’t, how?? why??) But this is kind of how that crust is. They bake those puppies in straight up oil pretty much. And that’s what you do with this bread. 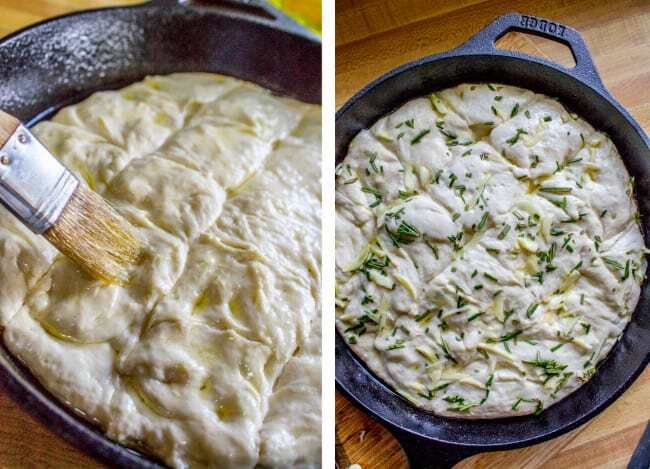 A full tablespoon of olive oil goes in the pan before you add the dough. It may look excessive; do it anyway. 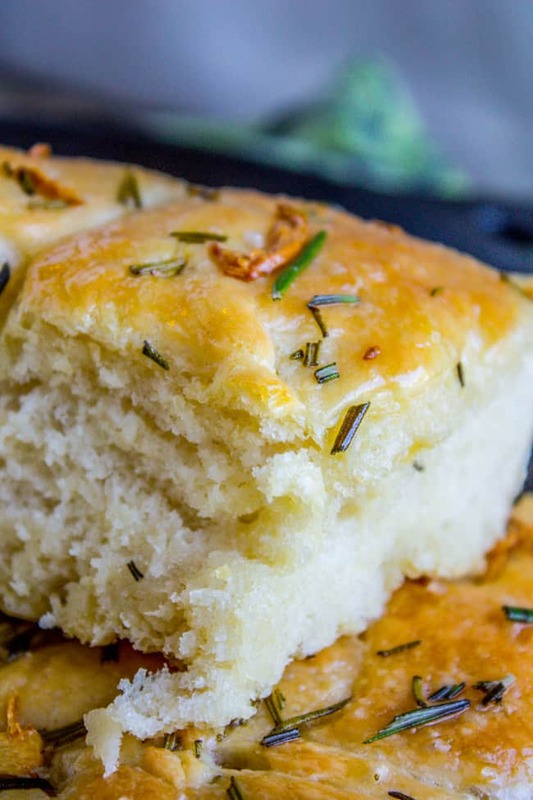 It’s kind of like these biscuits that are baked in a pan of melted butter. Oh yeah. This bread would be perfect for Thanksgiving! I know it seems like a ways off but it’s really only a few weeks away. Crazy right?? 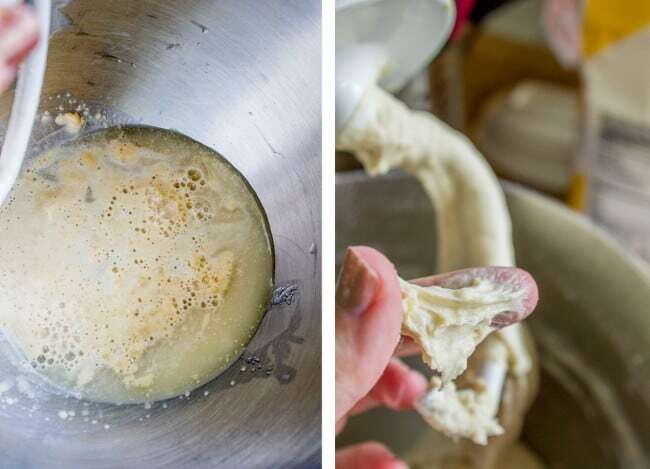 In a large bowl or stand mixer, add warm water, sugar, and yeast. Stir together with a spoon, then set a timer for 5 minutes. 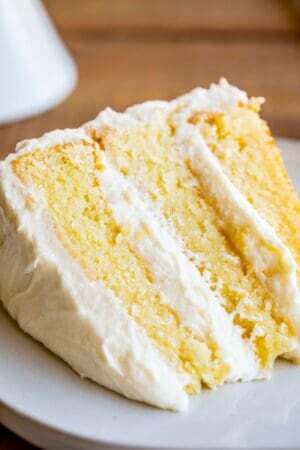 If your mixture is bubbly and a bit foamy after 5 minutes, congratulations! You didn't kill your yeast. If it's not reacting, then start over. 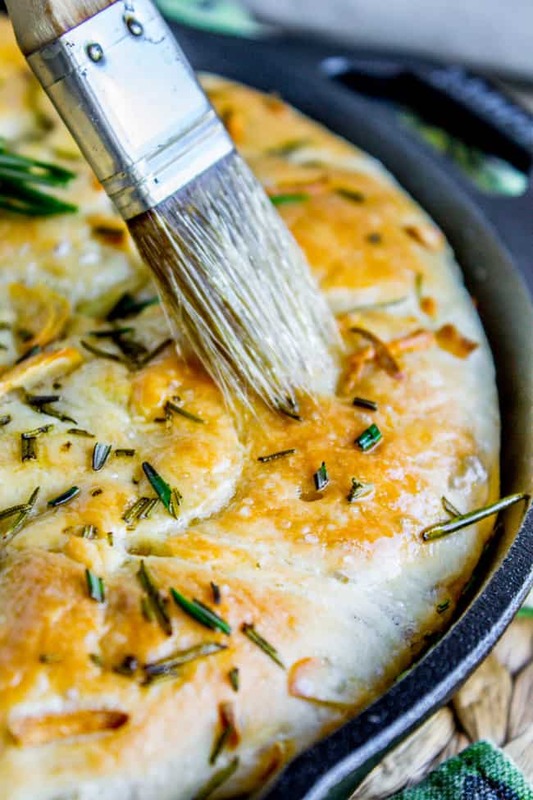 Coat a 10-inch cast iron skillet** with 1 tablespoon olive oil. Punch down the dough and press it into the bottom of the pan. Use a sharp knife to score the bread on top in a crisscross pattern. Brush the top with 1 tablespoon olive oil. Then sprinkle with garlic, rosemary, and 1/2 teaspoon salt. Cover loosely with plastic wrap and let rise another 20 minutes. When the bread has risen, bake at 400 for 20-25 minutes. Remove from the oven when the top is light golden brown all over. Remove the bread from the skillet right away and let cool on a wire rack. If you leave it in the pan the crust will get soggy! 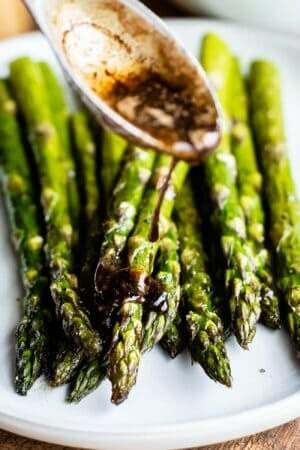 Drizzle with more olive oil, slice into wedges, and serve hot! **If you don't have a cast iron skillet, I bet this would work great in a 9x9 pan. The bottom of the bread might not get quite as crispy but it will still be delicious! 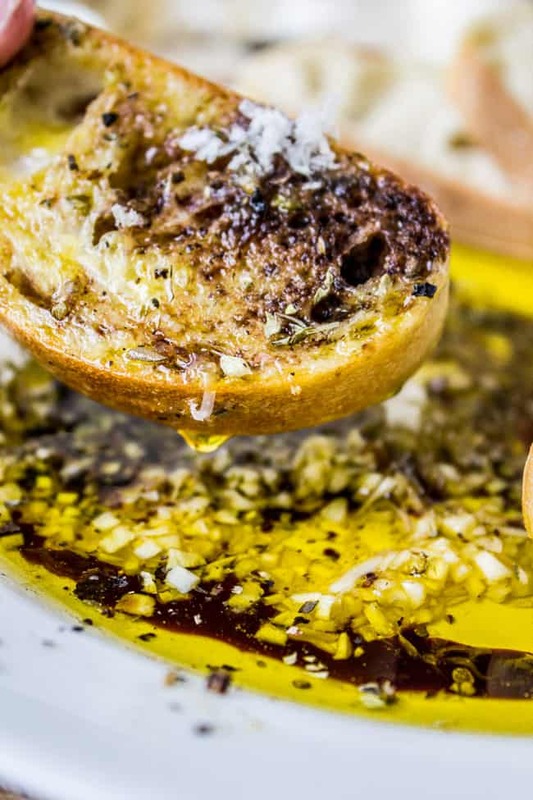 Restaurant Style Olive Oil and Balsamic Bread Dip << you could dip your Skillet Bread in this. OH MAN. 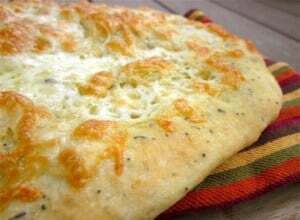 Fast Focaccia Bread << this is such an old recipe but I still use it all the time! Cheese ftw! 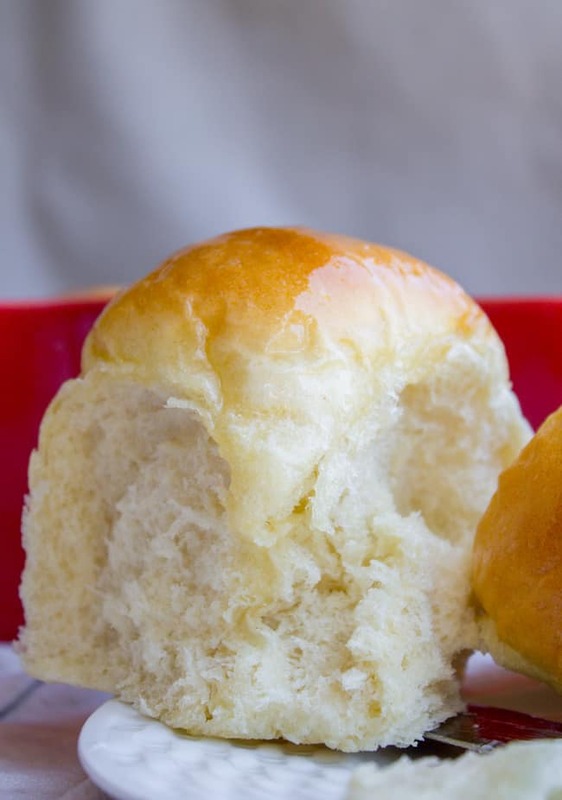 Aunt Shirley’s Famous Dinner Rolls << the best dinner rolls guys. THE BEST. 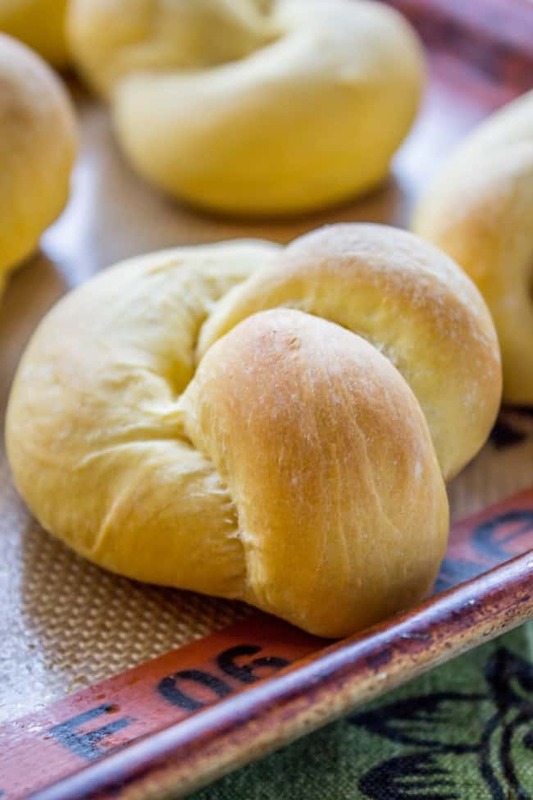 Buttery Sweet Potato Rolls << this would be another good one to make for Thanksgiving! 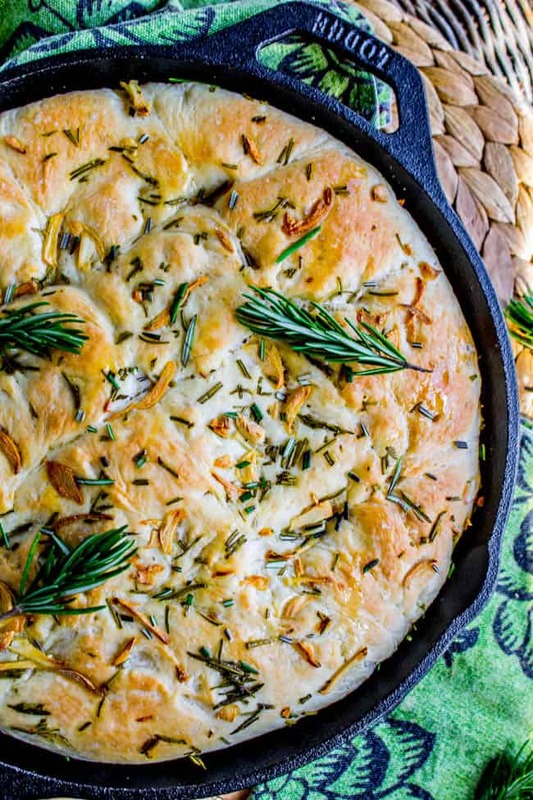 Other skillet breads from friends you might like! Hi. 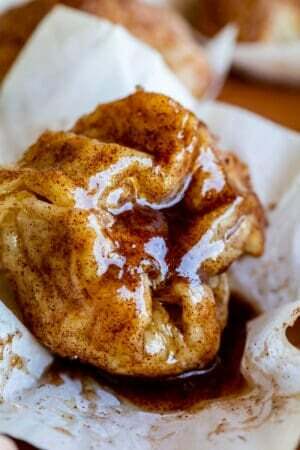 Can you bake these skillet breads in a toaster oven? Thanks. hi Shirley! I’ve never tried it, but I doubt a cast iron skillet could fit in a toaster oven! Thanks loved this bread i bake it in my pellet oven outside with cherry wood smoking. Oh my goodness that sounds amazing!! Hey Bob! I used a 10 inch skillet. I love the Sylvia Plath reference! 😀 And my carb-login’ self is nearly drooling over this bread! Haha! Do I need to cancel my Halloween Party and make a plane reservation for next week? How about instead of a handstand you sit backwards on your sofa and Eric slowly tips you back and holds your legs up? (Be sure and video that if you do😉). Bahahahaha – This happened to my BFF too! I remember getting texts that she was doing headstands. Also – HOW IS IT 37 WEEKS ALREADY?! 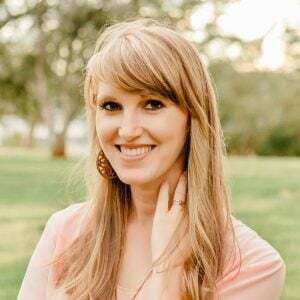 OMG SHE’S ALMOST HERE – I’M NOT READY! Oh gosh, poor Karen! You sound so uncomfy right now. This baby on the other hand…luckiest kid ever. Gonna burst into a world full of fresh bread and buttery goodness. Keep us updated! Haha! I’m loving the imagery here. Luckiest baby ever, born straight into buttery goodness. lol. Thanks so much Annie! I had to have my baby turned (he was breech) at 37 weeks. The meds to relax everything made me feel like I’d downed an entire pot of coffee. I didn’t find the process painful, just an incredible amount of pressure, and just when I thought I couldn’t take anymore pressure the baby flipped around. I remember having contractions afterwards (my husband’s company Christmas party was that night!) but no real labor. I ended up being induced 3 weeks later! Oh man Lora I wish I had read this before my appointment yesterday! I would take drowning in coffee over immense pain…I think? And I’m glad it didn’t send you into labor! Obviously your little one needed some more time :) My appointment went well and they didn’t have to do any turning, she dropped all on her own. Whew! Sending lots of good thoughts your way! I can’t believe you tried to do a headstand! haha Yeah I don’t think I could even do one (and I’m definitely not pregnant!) 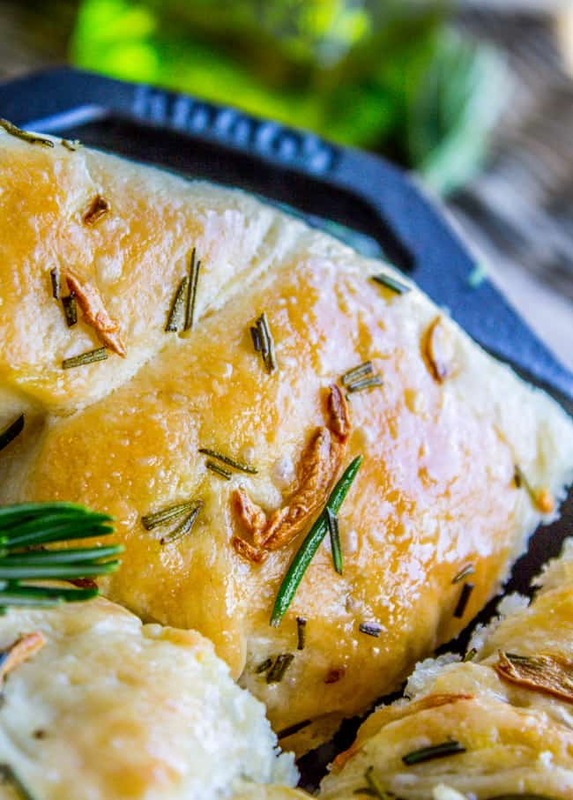 PS this bread sounds fantastic – rosemary is my fav!! why couldn’t you mix garlic and rosemary into the dough as well as putting it on top. thanks….I’m not waiting until Thanksgiving to make this. 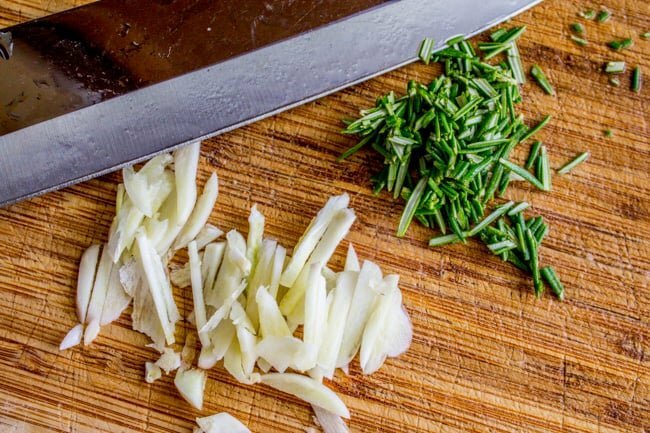 Lots of garlic,rosemary and olive oil..what could be better! I think that’s an excellent choice Susan…the sooner the better! So gorgeous and love that it’s made in a cast iron skillet! Perfect for the holidays.